Este's Church of Love, Blubop Fandango, and Glory Road Gardens team up to bring the Florida community "Unicorns Unite," an intimate weekend of feasting and fare. The event will focus on intentional living as well as celebration of life through art, music and dance. 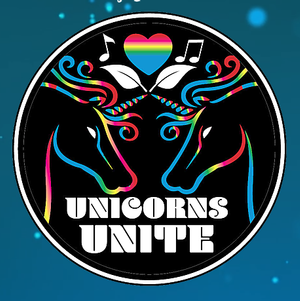 Unicorns Unite, is a party thrown by artists for artists to raise money and awareness for our future ecovillage/intentional community. We will enjoy live music and camping all weekend as well as workshops/playshops for all ages. As an intimate celebration, we have a limited number of invitations available so participants must secure an invitation in advance. The event will feature collaborative community meals and potluck style meals. A modest donation of $30 to the ecovillage/intentional community project which may be tax deductible will contribute to cover porta potties and other necessary expenses.